Last week on Slice of Life, Natalia Morais dealt with just how to handle bad reviews online. Now, I want to help you make the best of your online profiles on the review sites. Online reviews are somewhat of a necessary evil in this day and age. If you are attracting a large market of tourists or wanting to grab the attention of those who rely on Yelp, UrbanSpoon or more to determine where to eat, than you have to play the game. Customers like having opinions and they are already posting what they think of you anyway, so why not have more control over the message? I have seen countless pizzerias have Yelp reviews without their management of their own page and that does not bode well for you. Don't let your message be controlled by customers. Be the one who graciously allows for their opinions. Yes, you may get negative reviews. But as a customer, if I see that you handled the complaint with grace and replied and tried to make things right for every customer, I am going to be sure to try you out. Yes, there are trolls on these sites and I recommend reading Natalia's post about how to handle the negative ones. Tip #1 - Own your site. On Yelp, you go to the Business site to claim your page. This way you can upload menus, photos and be more involved with the process. On UrbanSpoon, you use the UrbanSpoon Owner Dash to monitor and update your business. TripAdvisor has a business site that includes free marketing classes for your restaurant. Honestly, you could be on all of them and it is worth a quick search to make sure you find out. But if you want to pick just one, see which one is most used for your area and go with that. Tip #2 - Sign up for notifications. If the review sites allow you to be notified when a review is posted, then be ready to respond immediately. If it is positive, thank them for a glowing review. If it is negative, don't get in a fight. Instead, offer a way to fix whatever issue they have. If they want to be a troll and complain with out responding to your positive offer of assistance, than it shows that you tried your best. 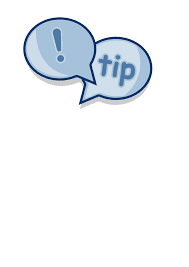 Tip #3 - Maintain and update your profiles regularly. I can't tell you how many profiles I come across that clearly show they were abandoned after the first time they were set up. Mark your calendar to update it at least every other month. Put a fresh photo up. If your menu changes, change it online too. Tip #4 - Always, always respond. Do not let any review pass you by. That ties into #2. Always be sure to at least send a thank you to those who give you a glowing review and always try to reach out and help those with less positive things to say. Tip #5 - Promote the positive. You got a 5 star review and glowing beautiful sentences about you being the best pizza maker in the world. Don't just say thanks, promote it! Post a sign at the store with the glowing reviews to encourage more of them. Copy and paste into your social media and share with the world how great others think you are.